Not from me, from Becky over at Love Everyday Life. She is having her 100th post giveaway. 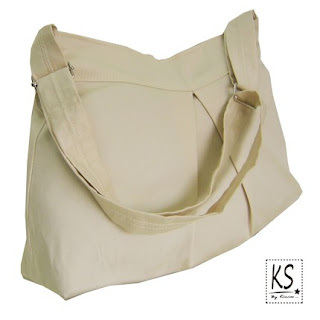 She's giving away this great bag from Kinies. Head to her blog to enter today! You know you want to!!!! Oh yeah, after you sign up for the giveaway check out the rest of her blog too, you won't be sorry! Good luck. And congratulations on your blog award. I will return. Oh, my grandmother is in awe of Shaq. She once had to be taken to the hospital during one of his playoff games when he was still with the Lakers, and she refused to go to the ER until half-time. My aunt told me she was screaming at the TV's in her hospital room while waiting for the doctor. It didn't really surprise me. She's always been that way. Happy Saturday! I am stopping by from SITS! :D I hope you are having an awesome Saturday! And I just might have to go and check out that giveaway....;P Thanks! Cute bag, hope you get it! Here from Netchick... I don't think I have anything to go with that bag,and my bags are generally made by Kelty or Gregory, but it's a nice gift for someone. :) Have a good day, Tracie. I love the I'm Not Really A Waitress color. I use it every year around the holidays.